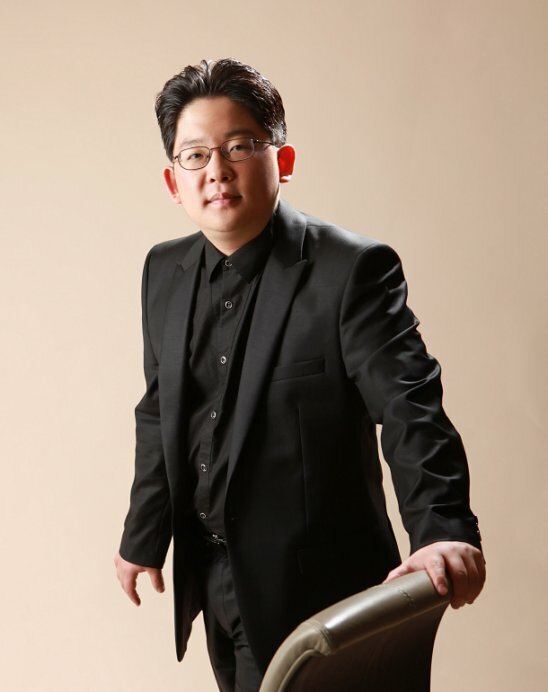 at the 18th international piano competition "Cidade do Porto"
The concert pianist Sunghoon Simon Hwang is one of the most prominent pianists of his generation. In Europe as well as in Asia he already performed with numerous orchestras world-wide, such as the Prague Radio Symphony Orchestra, the Orchestre de Montbeliard, the Janáček Philharmonic, the San Remo Symphony Orchestra, the Duisburg Symphony, the Orquestra Granada, the Orquestra Nacional do Porto, the Filarmonica Marchigiana, the Filarmonica Banatul, the Orchestra Sinfonica Sicilliana, the Vina del Mar Orchestra, the Bacau Symphony, the Taiwan National Symphony Orchestra, the Orquestra Sinfonica Perfecto Garcia Chornet, the Seoul Academy Symphony Orchestra and the Busan Metropolitan Orchestra. He won more than 40 international prizes at prestigious piano competitions like Epinal, Jaen, Porto, Senigallia, Maria Canals, Luis Sigall, Glenn Gould, Serge Prokofiev, Sergei Rachmaninoff, Anton Rubinstein, Johannes Brahms and Euterpe. Furthermore, he received 9 special interpretation prizes. He got many invitations from European music festivals like the Ferrucio Busoni festival, the Alfredo Speranza Festival, the Grosseto international piano festival, the “Klassik in der Altstadt” festival, the Chateau de Lourmarin festival, Niestetal international piano festival, Busan Maru International Music Festival(BMIMF) and the Wennigsen music festival. Sunghoon Simon Hwang studied at the Korean National University of Arts in Seoul with Prof. J.P. Lim, at the Santa Cecilia Academia in Roma with world-famous Prof. Sergio Perticaroli, at the École Normal de Musique in Paris with Prof. Youngshin An, at the Hannover Musikhoschule in the classes of Prof. Einar Steen-Nökleberg and Prof. Mi-Kyung Kim. In 2006 he founded the piano duet ensemble "Duo Arte Mozart" with the Russian pianist Alexey Lebedev. In the year of his foundation with the "Duo Arte Mozart", Sunghoon Simon Hwang got an invitation from the North German Broadcasting Station for the program "Culture NDR” in Hannover. Since 2006 the "Duo Arte Mozart" appeared every year with great success at the festival "Klassik in der Altstadt" in Hannover, specially in 2008 with the first nominated Audience Prize. The various repertoire of the ensemble, which includes the works of Bach, Schubert, Schumann, Brahms, Debussy, Ravel, Grieg, Rachmaninoff and Poulenc, has a special main focus - the whole works for 4 hands of Wolfgang Amadeus Mozart. Sunghoon Simon Hwang gives master classes for piano, in 2006 at the Otto-von-Guericke University in Magdeburg. In the year 2009 he gave a master class at the Kloster Michaelstein in Blankenburg with an invitation of the “Landesmusikakademie Sachsen-Anhalt” in Germany. In 2010, he was invited as a Professor by the "Tenerife international concert academy festival" in Spain. In 2011, he was invited as a member of Jury by the "Claude Bonneton international piano competition". From 2009 to 2013 he taught piano at the Hildesheim University. "Standing Ovations!!! More than 90 minutes he delivered not only one taste of his skill but also world-class level as an artist in the concert hall Wennigsen. With the last key, the audience jumped up and gave to the Korean pianist long banging and trampling Standing Ovations." "The Audience could feel fireworks of the sounds with unbelievable intensity from the 31-years-old pianist Sunghoon Hwang with whole physical energy and unbelievable dynamism to the keys. The sounds drew audience in stormy passages, also in conciliatory softness. "This pianist knows all nuances! Sunghoon Hwang kindled fireworks of tone colors with Ravel "La Valse", in Waltz-Rhythmic as lively as possible like a wild dance. He controlled the keys in all nuances"
In Ravel "La Valse" a vast amount in tone colors were to be heard, over and again broken by attempts of a waltz like a dance on the volcano. In 7 Fantasien op.116 of Brahms the pianist absolutely express the lyrical late-romantic emotion. He had this also in the slow part of the B-minor sonata Rachmaninoff and the tonal range of the concert piano was expanded by him. In Liszt Ballade No.2 Sunghoon Hwang made a story with typical Liszt colors like extremes, sharp like razor, biting rhythmic, which increased finally to great cascades. In the 10th study from "Etüdes d'execution Transcendante" he realised spiritual description with instrument between passion and wild Demon. "Standing Ovations!! Brahms 7 Fantasien op.116, height and depth of human emotion, the first Capriccio rose powerfully and wildly and sometimes also expressed like torn soul. It was a risky, passionate interpretation. Marvelously!